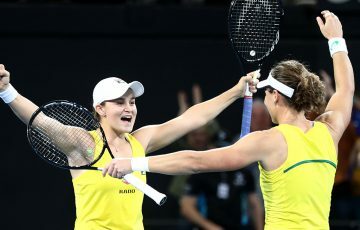 Australia's Hopman Cup title hopes are over after losing 3-0 to Serbia in Perth on Tuesday, meaning their 12-year drought will extend at least another year. 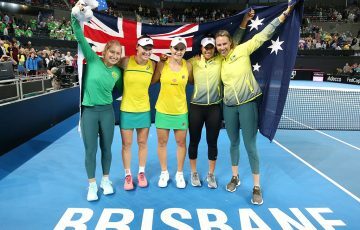 Australia’s Hopman Cup title hopes are over after losing 3-0 to Serbia in Perth on Tuesday, meaning their 12-year drought will extend at least another year. 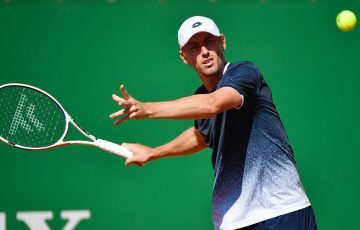 Serbia secured the tie when Lleyton Hewitt succumbed to world No.3 Novak Djokovic 6-2 6-4 after Ana Ivanovic had earlier cruised past Alicia Molik 6-4 6-0. 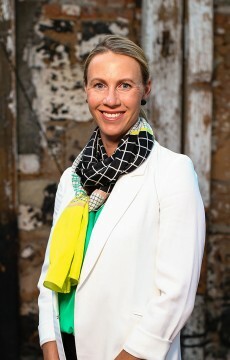 Australia needed to win the mixed doubles to at least retain a mathematical chance of reaching the final. But Serbia came from a set down to win 6-7 (5-7) 7-5 10-6 (match tiebreak). 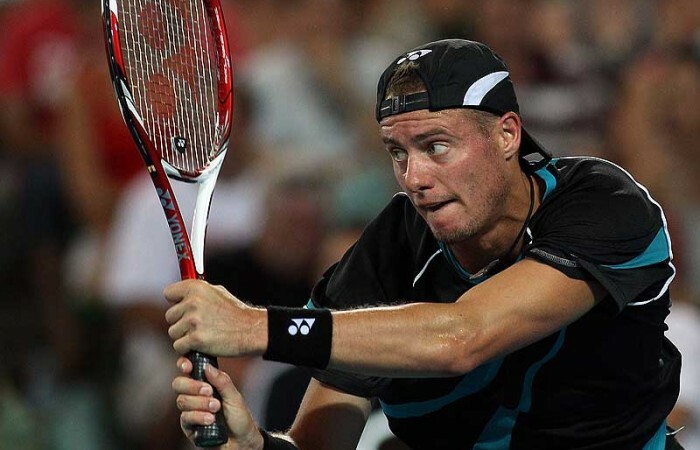 Hewitt, playing just his second singles match since recovering from a hand injury, battled bravely against Djokovic throughout his singles match, recovering from a break down in the second set to level the scores at 4-4. 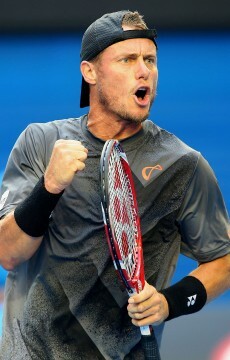 But Hewitt couldn’t go on with the job, with a double fault handing victory to Djokovic in 81 minutes. Djokovic praised Hewitt’s fighting qualities after the match. “We players have a great respect for him because he’s a big fighter, he keeps on coming back,” Djokovic said. “He has won everything – grand slam, he was number one, he won a Davis Cup. Earlier, former world No.1 Ivanovic suffered an injury scare after tweaking her left knee midway through the second set of her crushing singles win over Molik. 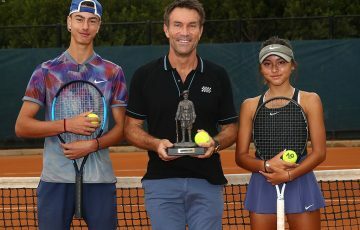 “I was a little bit scared because of that one split-step I made I went really low and I just felt like a sharp pain in my knee,” said Ivanovic, who didn’t appear hindered during the mixed doubles. “I just thought I better check (with) the doctors to see what they think and I’m going to go and see them afterwards. Molik matched it with Ivanovic for most of the opening set but the turning point came with scores locked at 4-4 and Molik serving to go up 5-4. With Molik up game point, Ivanovic unleashed a forehand that clipped the top of the net, ricocheted into the air, clipped the net tape again before creeping over for a winner. Ivanovic, buoyed by the fortunate piece of luck, went on to break Molik in that game before overwhelming the Australian in the second set. “I’m really happy that I managed to win that first set,” Ivanovic said. In the day’s other tie, Belgium defeated Kazakhstan 3-0 to resurrect their hopes of reaching the final after losing to Australia 2-1 on day one. 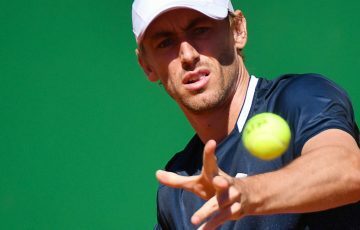 Justine Henin defeated Sesil Karatantcheva 6-4 6-3 in the women’s singles before Ruben Bemelmans took care of Andrey Golubev 6-4 6-4. Belgium finished the job in the mixed doubles, winning 4-6 6-2 (10-8 match tiebreak).